The nature of agriculture and the food industry seems to be shifting, so it makes sense that the approach to supply chain might have to change as well. From the demands of the newer generation of consumers to the new technology emerging, there's a series of different factors available to change the status quo for industry participants. With the conflict between organic foods and GMOs still highly prominent, industry stakeholders can make choices to adapt. As a major player in modern agriculture, Monsanto occupies a lot of the conversation around the future of the industry. As such, it's fair to say that its business decisions could stand out, such as a recently announced acquisition that brings data into the discussion even more. The Wall Street Journal reported on the company's new purchase of VitalFields, a farming business software company. Although the source noted that details of the deal have not surfaced yet, it also explained that VitalFields has experience creating solutions for farmer compliance in Europe. The software the business brings to its new parent could enhance the agricultural aspect of the Internet of Things, the model where every device is connected to each other. It could also allow Monsanto to spread the practice of automating data logging for accurate reporting. This has the potential to enhance VitalFields' existing success with crops in multiple countries, and add to the business' mission for modernizing farming. 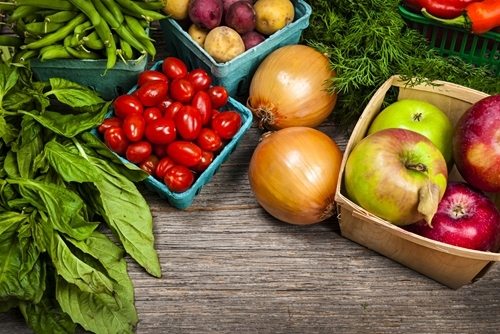 "Farmers and food companies need to pay attention to the new consumer preferences." On the opposite side of the spectrum, farmers and food companies need to pay attention to changing consumer preferences, which could signal new necessary changes to logistics, prioritizing types of produce and quality. A survey from the Organic Trade Association recently made this clear when comparing the buying habits of different generations and focusing specifically on the preferences of the millennial group (those currently between 18 and 34 years old). According to this source, more than half of the parents buying organic in the country (52 percent) belong to this generation, which is more than Baby Boomers and Generation Xers combined. What's more, the millennial bracket believes they know about organic products, showing a confidence in their knowledge of this area which represents their commitment to the organic produce lifestyle. In a statement, OTA CEO and Executive Director Laura Batcha explained the insight gleaned from this survey. "Our survey shows that Millennial parents seek out organic because they are more aware of the benefits of organic, that they place a greater value on knowing how their food was grown and produced, and that they are deeply committed to supporting a food system that sustains and nurtures the environment," she said. Citing this source, Forbes went further, noting the changes major companies have had to keep up with in the new shopping atmosphere. Popular startups like Blue Apron have also cultivated a direct relationship with farmers, which could drive more interest among shoppers who already trend toward organically sourced goods. A common thread in all of these cases could be the importance of global sourcing. With more control over sourcing practices, businesses can look for a way to meet consumer needs and their own at the same time.